Grade II Listed Semi Detached Dwelling of character. Situated in a quiet rural hamlet in a picturesque area. Llanbrynmair 2 miles. Llanidloes 13 miles. Machynlleth 13 miles. Built in 1912 of dressed stone with part exposed timber framing under a slated roof. Oil fired central heating. Double glazed windows. Requiring a scheme of updating works. 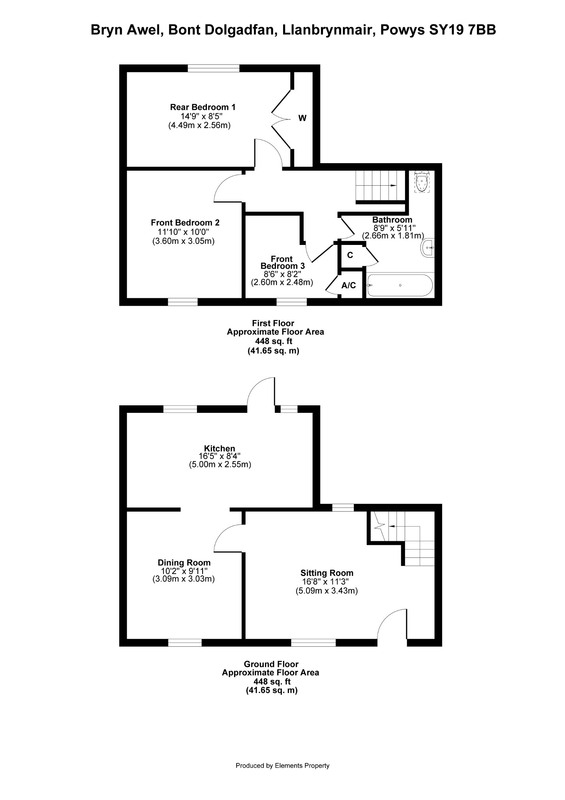 2 receptions, kitchen, 3 bedrooms, bathroom. Detached parking area for several cars. Rear paved yard and sloping garden behind. Directions: - From Llanidloes - Proceed on the B4518 to Llanbrynmair. Pass through the village of Pennant and take the next right signposted Bont Dolgadfan. Over the river bridge and turn left and the property is a short distance on the right hand side. From Newtown - Take the A489 towards Llanidloes and after approximately 6 miles immediately before the level crossing turn right onto the A470 and continue through Caersws, Clatter & Carno. On reaching Talerddig, fork left signposted Bont Dolgadfan 3 miles and continue along the road to the village. Proceed down through the village turning right before the bridge and the property is on the right hand side. Grade II listed semi detached dwelling of character built in 1912. Situated in a quiet rural hamlet. Llanbrynmair 2 miles. Llanidloes 13 miles. Machynlleth 13 miles. Oil fired CH. DG windows. Requiring a scheme of updating works. 2 reception, kitchen, 3 bedrooms, bathroom. Detached parking area for several cars. Rear paved yard and sloping garden behind.